The Oregon coast can be hammered with winds and rain that may make it seem like a unlikely destination to go to in the winter, however there is still lots of fun activities to enjoy including beach combing during the short breaks in the storms. Unless you are at the coast during a major storm the rain and really strong winds tend to come in waves with breaks with even glimmers of sunshine that if you take advantage of can be rewarding with walks on empty beaches, unusual scenery with the wind and waves, and the occasional treasure washed ashore from the waves and tides. The best time to hit the beach is when it is not raining as it is more enjoyable and easier to layer up a sweatshirt and stay warm to enjoy your time outside. 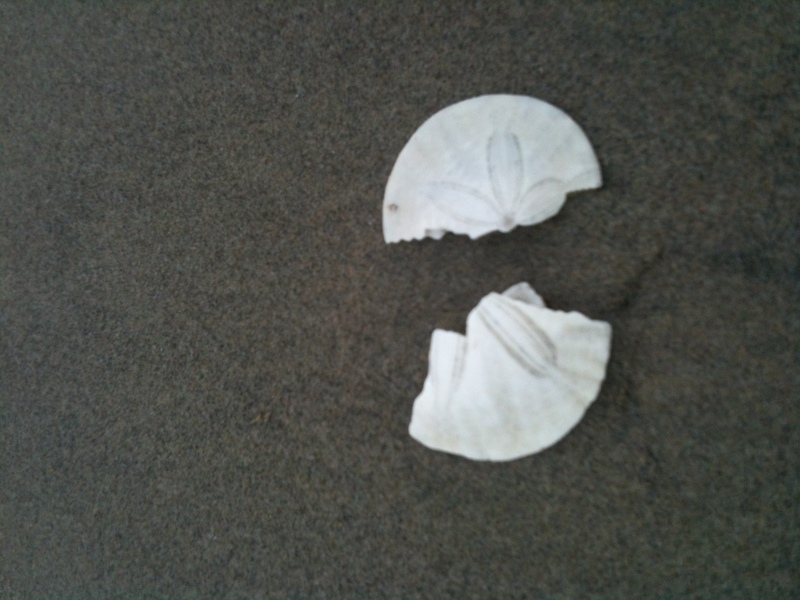 However if you can pick a time that is near after a high tide when the water is receding as you are more likely to find shells, cool looking rocks, and other debris that may have washed up on the beach. 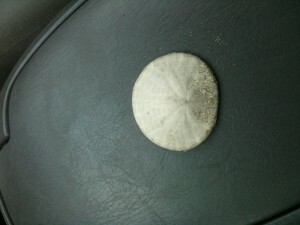 Here is a Sand Dollar that I found nestled next to a piece of wood just below the high water line as the tide was going out. A great part of the Oregon coast is the free access to the shore that is easily available from North to South making finding a location that you can find access to the sand or rocky shore pretty easy regardless of where you are staying on the coast. 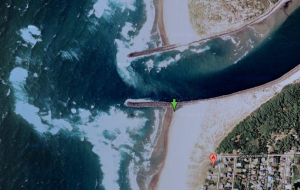 The particular place I went to today for my outdoor escape was just south of the Jetty Fishery Marina and RV Park near the Nehalem Jetty and is a great beach just outside of town. There is a lot of wood from big trees around and so it is wise to be careful when walking around and the jetty can cause some very large waves nearby so it can be dangerous during times that the waves are large. A Google Maps Image of the Jetty where I went today for a beach walk during the break in the rain. The sand was blowing in the wind giving the beach a wind swept look despite the sand being wet from previous rains. If you are at the beach during the winter or during a time that it is stormy outside, keep your eyes peeled for a 30 minute window when the weather breaks and you can get outside and enjoy the day. The Oregon coast rewards those that get out there and enjoy a walk on the beach when the weather has been unpleasant. Hope you find something cool, interesting, or unusual on your next beach walk.